Race Report: Minuteman CX is Quintessential New England! 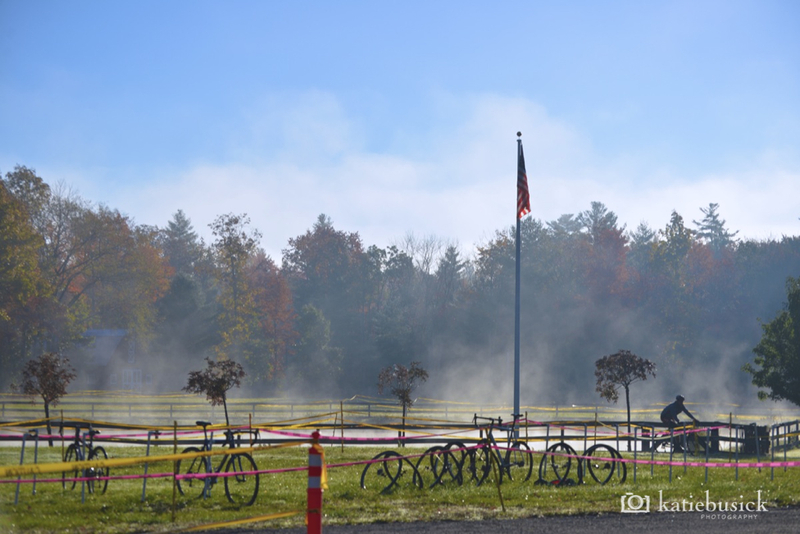 Racers gathered yesterday under the glowing fall foliage for the fourth edition of the Minuteman Road Club Cyclocross Race p/b Landry’s Bicycles in Lancaster, MA. The morning racers faced damp course conditions and chilly temperatures, but the clear sky brought the sun to warm the course, removing the chill from the air on a quintessential New England autumn afternoon. By the time the Elite races and Zanconato Single Speed races were underway, the course had completely dried, making for some fast racing. The course featured wide, sweeping turns, some winding through a tricky sand section. The course had its technical sections as well: stairs, barriers, and the venue’s signature twists through woodchips under the barn roof. Sterling (Bikeman.com), Leslie Timm (Ladies First Racing), and Melody Chase (Gus CX/Ralegh) worked to reel in the leader. However, Northcott, having a stellar season so far, was gone for good. The leader rode her own race – at lightning pace, free of bobbles and mistakes – and the chase group settled in for a battle for the remaining podium spots. Sterling launched an attack, shaking Chase loose, and the race was decided. Northcott rode in for a clean win, as Sterling crossed the line second. Chase followed in third, and Timm held on for the fourth spot. The fastest race of the day took to the course, with Dylan McNicholas (PolarTec), Jerome Townsend (Joe’s Garage p/b BikeReg.com), and Peter Goguen (Race CF) taking an early lead in the Elite Men’s race. Adam Myerson (Cycle-Smart) and Nick Keough (Keough Cyclocross) organized a chase, but the three leaders seemed to only add seconds to their lead. Meanwhile, Frankie McCormack (Clif Bar/Pactimo) was busy dieseling his way to the chase with son and teammate Brendan on his wheel. Goguen lost contact with the leaders, leaving McNicholas and Townsend to battle for the win, as Brendan connected with the chase. McNicholas and Townsend fought hard for the victory, staying together throughout the final laps, but the win was ultimately decided by who hit the loose gravel turns before the finish first. It was Townsend who claimed the win, McNicholas hot on his heels in second. Goguen finished third. 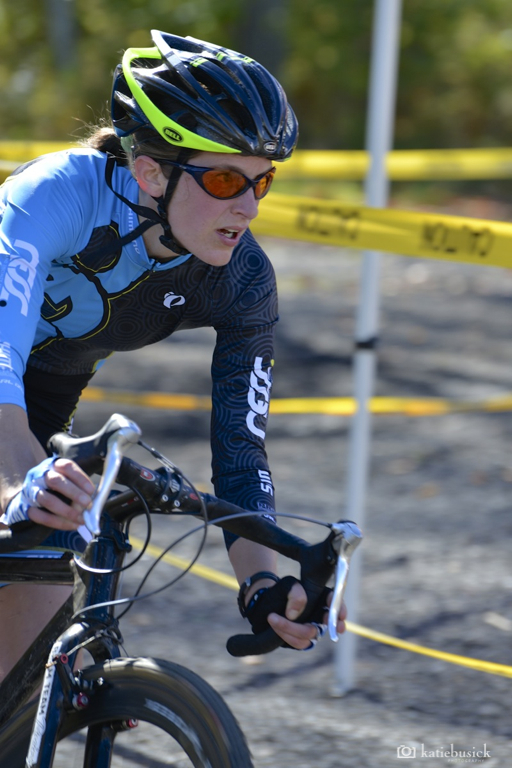 Myerson gapped McCormack to cross the line fourth, and Keough rolled in sixth. In the Zanconato Single Speed Series, men’s series leader Mike Rowell (Bikeway Source/Bell Lap Racing) took the win, but not easily: Rowell had to fend off Matt Sousa (Cuppow/Geekhouse/B2C2) for the entirety of the race. Sousa claimed second, while Benjamin Pagano (Bikeway Source/Bell Lap Racing) finished third. In the women’s race, each podium finisher was racing her second race of the day: Joanne Grogan (Cyclocrossracing.com) won, while Clara Kelly (NEBC p/b Cycle Loft) crossed the line second, and Michele Smith (Hup United) claimed the last podium spot. 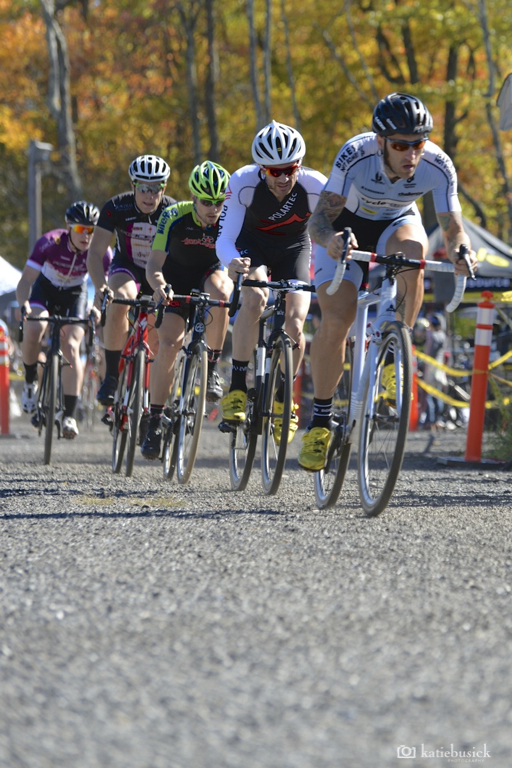 For complete race results, visit the 2014 MRC CX page on CrossResults.